Our well designed apartments offers modern and comfortable accomodation with easy access to the golden sandy beaches of ancient Side. 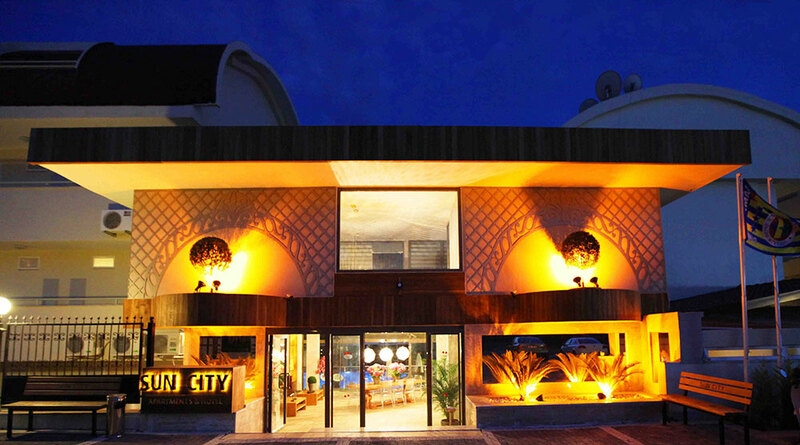 The hotel located 70 km to Antalya Airport, 2 km to Avciant Side and 700 mt to the beach. 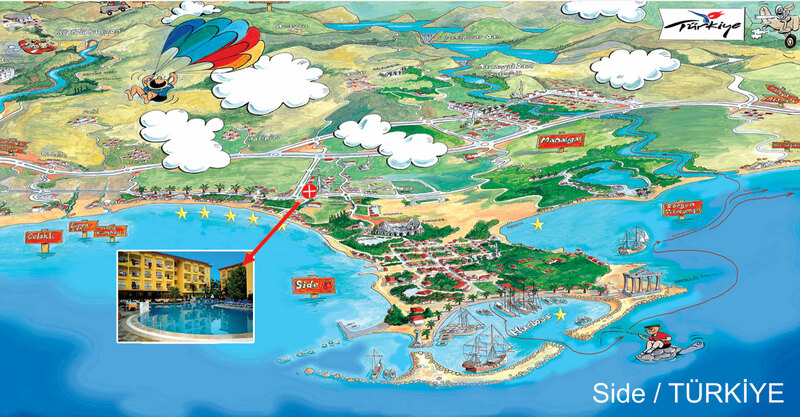 You can swim in the large clower-shaped pool or why not just lay down in the sun on the terrace or in the garden. If swimming makes you hungry or thirsty our pool bar and restaurant is just there to serve you tasty snacks and delicious cocktails or ice cold beers and beverages. 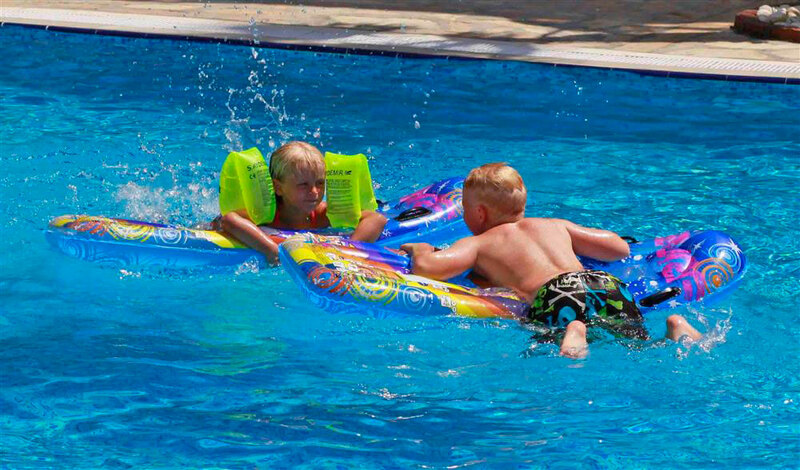 If you wish you can rent pool towels by the pool and you will not need to carry the towels all the way on your holiday. 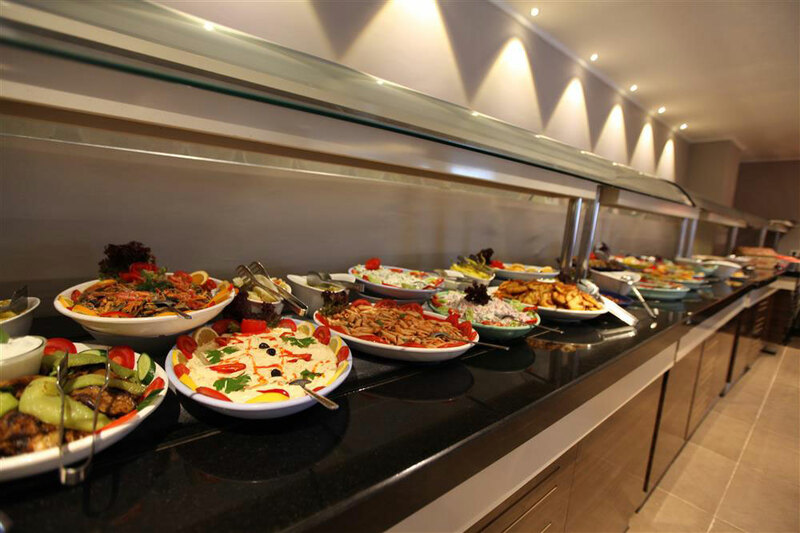 Our A La Carte restaurant serves wide selection of open buffet every morning and evenings, original English Breakfast and snacks, pizzas ,main courses from Turkish & International Cuisine. Our Entertaining programs will be best memories of your holiday which you will never forget. 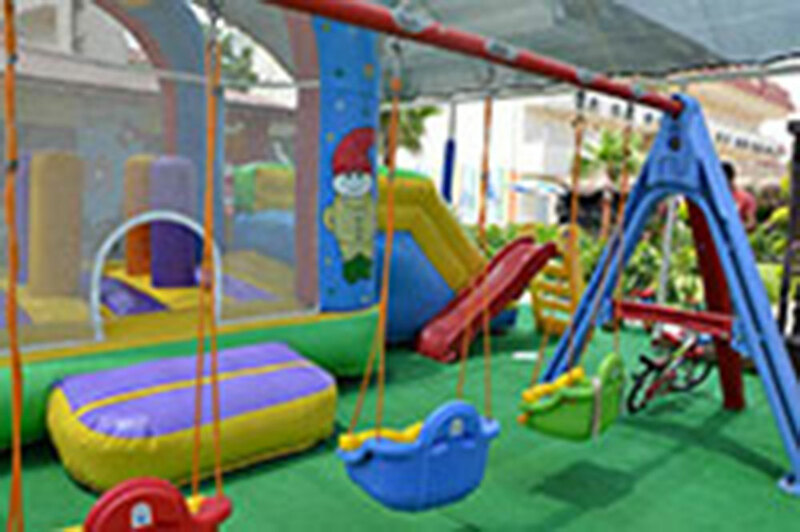 Our hotel is recommended especially to the families with seperate large children pool and playground. For the babys we offer free baby cots. If you have sur-plus energy our fitness centre helps you to use it.And after that why not try our sauna or turkish bath with relaxing massage programs which make good final of the day and feel lile being re-born. 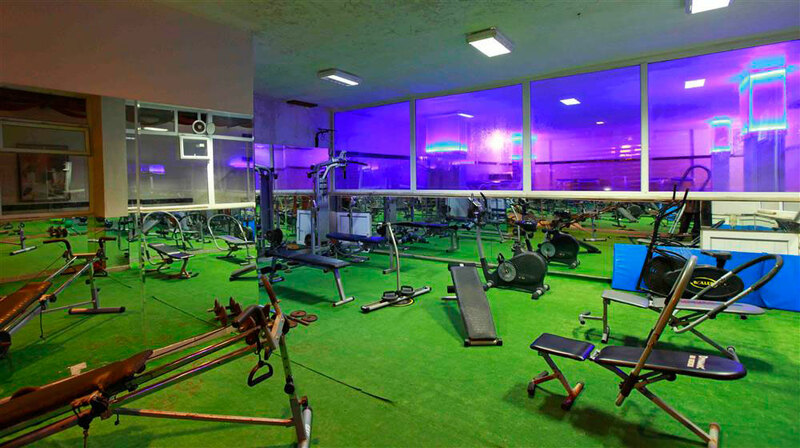 If you like warm pool water on the cold weather indoor pool is just waiting you near by fitness saloon. Our tastefully furnished apartments offers you very comfortable holiday with studio, 1 bedroom and two bedroom apartments. All the apartments have pool view balcony, kitchenette, refrigerator, kette, toaster, satellite TV, direct dial telephone, safe box, air conditioning. 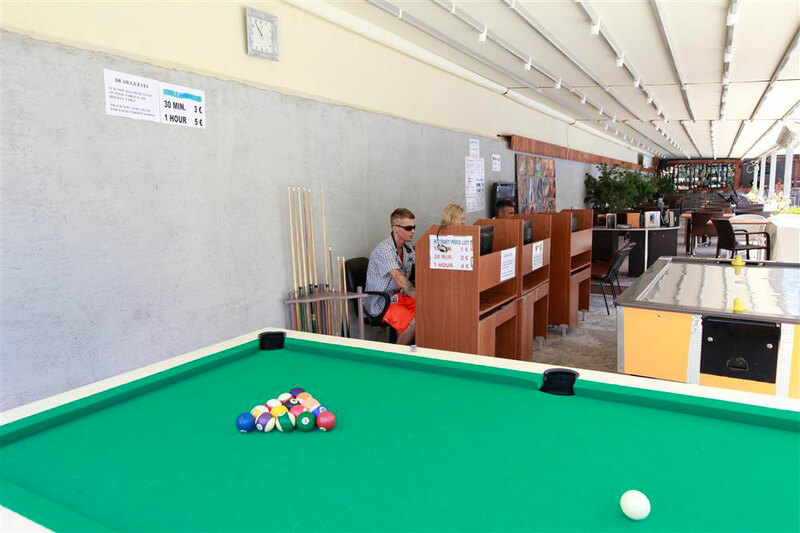 Also you may find mini market for shopping, internet cafe, photo service, pool table, table tenis,table fotball, air hockeyi dart, beach volley, 24 hours doctor service and more with Sun City hospitality.